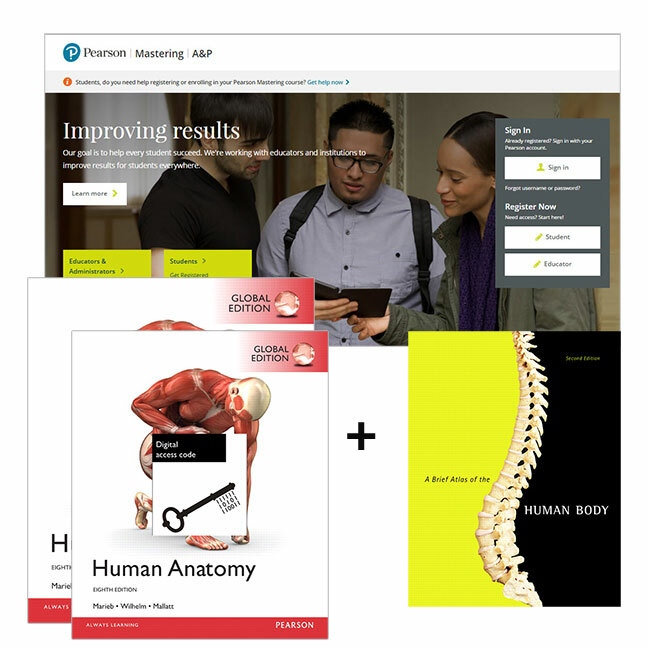 This pack contains 1 copy of Human Anatomy, Global Edition + 1 printed access card to Modified Mastering A&P with eText, and 1 copy of a Brief Atlas of the Human Body. The #1 best-selling textbook for the human anatomy course, Human Anatomy, 8th Edition is widely regarded as the most readable and visually accessible book on the market. The book’s hallmark strengths – detailed art that teaches better and a student-friendly narrative are enhanced through more prominent in-text media references and updated Focus Figures. Within the text, photos reinforce real-world applications, and cadaver photos and micrographs appear side-by-side with art, working together to help students accurately visualise key anatomical structures. Revised for the 7th Edition, this full-colour atlas includes 107 bone and 47 soft-tissue photographs with easy-to-read labels. This new edition of the atlas contains a brand new comprehensive histology photomicrograph section featuring over 50 slides of basic tissue and organ systems. Featuring photos taken by renowned biomedical photographer Ralph Hutchings, this high-quality photographic atlas makes an excellent resource for the classroom and laboratory, and is referenced in appropriate figure legends throughout the text. Modified Mastering A&P is an online homework, tutorial, and assessment program designed to work with this text to engage students and improve results. Instructors ensure students arrive ready to learn by assigning educationally effective content before class, and encourage critical thinking and retention with in-class resources such as Learning Catalytics. Modified Mastering A&P is not a self-paced technology and should only be purchased when required by an instructor. The duration of access to Modified Mastering A&P is set by your instructor for your specific unit of study.